Affecting about 25 million Americans, asthma is one of the most common respiratory conditions in the United States. Since there’s no cure, effective medical management is essential to your well-being. During his time as a clinician and associate professor of medicine, Dr. Matthew Mintz with his practice located in Bethesda, Maryland has researched asthma extensively. Dr. Mintz has done research, published in major journals, and spoken nationally on asthma. 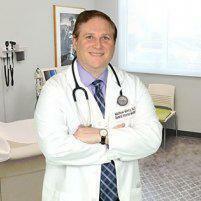 Dr. Mintz believes that almost every asthmatic can be successfully managed with appropriate medical treatment. Asthma should not take control of your life. You can control your asthma. For a medical partner to help with your asthma management, call or book an appointment online with Dr. Mintz. Dr. Mintz welcomes all patients from Bethesda, Potomac, Rockville, Chevy Chase, and the surrounding areas of Washington D.C. and Virginia. When the air pathways of your lungs swell and produce excess mucus, there’s only so much room for air. When too little air gets through, you have an asthma attack, with breathing difficulties, wheezing, coughing, and an overall shortness of breath. Depending on your particular case, it may be a minor inconvenience, or it could be a life-threatening incident. Not only is asthma incurable, its nature often changes through the stages of your life. Effective treatment for asthma now may not be enough in the future. The cause of asthma isn’t fully understood, though combinations of genetic and environmental factors are suspected to cause the condition in those who are affected. Most sufferers have one or more triggers that contribute to asthma symptoms, and these vary from patient to patient. What are some of the symptoms and triggers of asthma? Is asthma considered a chronic obstructive pulmonary disease (COPD)? Yes, it can be. Refractory asthma, that is, asthma that is chronic and doesn’t reverse itself is often placed in the same class as chronic bronchitis, emphysema, and some forms of bronchiectasis, a condition where the bronchial tubes suffer permanent damage. There are also differences. COPD is most often used as a diagnosis for those with chronic bronchitis, emphysema, or a combination of both. It’s often first diagnosed later in life, age 40 or older, and often smoking is a factor. Asthma is usually diagnosed in childhood and its origins are often unknown. Assessment of asthma control in primary care.